We don’t dismantle brick piers. Ever. A lot of Aussie homes are built on old-fashioned brick pier foundations. Over time, they begin shifting or sinking deeper into the ground. This causes timber floors to sink and walls and ceilings to crack. Builders and contractors have traditionally turned to dismantling brick piers (and other aspects of a home) to build brand new ones. This is an immensely expensive process. It’s time consuming. It’s disruptive. It’s invasive. And we never, ever do it. Instead, our highly qualified and fully licensed team of technicians and engineers use modern, progressive techniques. 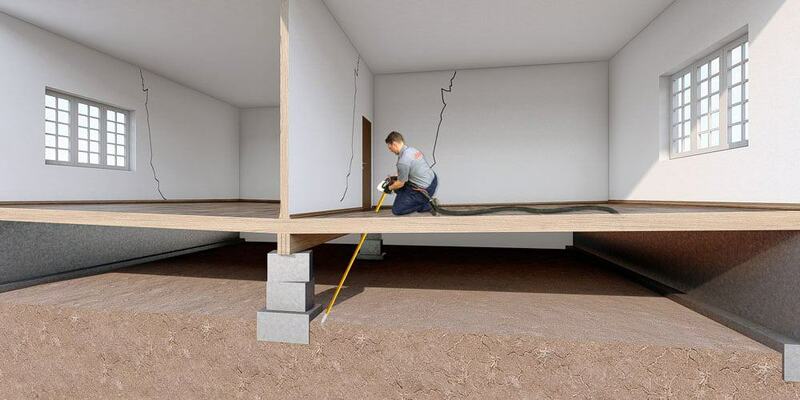 Our ground stabilisation and pier repair solutions will give you what you need without costing you an arm and leg or even needing you to leave your house. 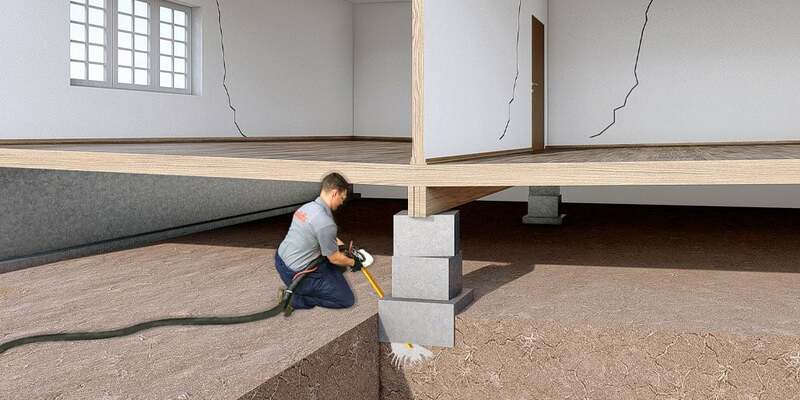 Instead of dismantling your brick piers, we inject GeoPoly™ into the ground under the piers. GeoPoly™, our proprietary geo-polymer resin, fills voids, stabilises weak soil and can raise piers up to 10 mm or more depending on ground conditions. If we can’t get to the brick piers from below floor level, we access them from above. We drill 1 cm wide access holes through the floor, right above the brick piers. We continue drilling through the pier until we reach the soil underneath. Through these holes, we inject GeoPoly™ at high pressure through lances into the weak, aerated, eroded soil or voids within the soil. We monitor the stabilisation process with laser levelling equipment to ensure the ground is stable and the piers are raised correctly. Afterwards, we remove the lances and refill the holes in your floor to leave it looking undisturbed and level. This process is effectively the same as being above floor level. The main difference is we drill directly into the brick piers below the floor to access the soil underneath. After the holes have been drilled, we inject GeoPoly™ at high pressure through lances into the ground right under the piers. We monitor the entire process with laser levelling equipment. Once the process is complete, we remove the lances and fill the holes leaving everything looking as before. Need a permanent brick pier repair solution today? If you’re thinking about having your brick piers dismantled in order to stop floors from sinking any further, stop right there. Our solutions are cost-effective, aren’t disruptive and totally reliable. And it all begins with a FREE inspection of your house. Book a FREE inspection of your brick piers today!